Property 10: Spacious Family Caravan, with Large Veranda and private seating area, sleeps 6. Property 14: Welcome to Rye Harbour ; a small friendly park with a genuine family feel. Property 16: Excellent 2 bedroom caravan, New Romney/Dymchurch, Family Friendly. NEW luxury Mistral Caravan 2018 CH/DG 12ft wide. 2 bedrooms and sofa bed. Property 18: NEW luxury Mistral Caravan 2018 CH/DG 12ft wide. 2 bedrooms and sofa bed. Superb 2 Bed Caravan, New Romney, Dymchurch. Pet friendly, family-friendly. 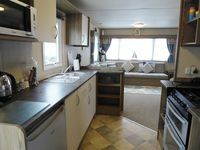 Property 24: Superb 2 Bed Caravan, New Romney, Dymchurch. Pet friendly, family-friendly. Property 29: A 2016 model chalet with 'JUNO hot tub and beautiful unobstructed views. Property 31: 3 bedroom caravan. Sleeps 6. Close to beach. Property 38: Two Bedroom Caravan (sleeps 6) Burton Bradstock, Dorset. New for 2016. Property 39: A renovated 2 bedroom caravan in Bude within walking distance to the beach. 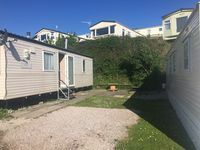 Property 40: STATIC CARAVAN WITH GARDEN IN SEASIDE TOWN. FAMILY FRIENDLY. Property 41: Home by the Sea. Take a walk on the nearby sandy beach. outdoor play park. Property 42: Luxury mobile home with spectacular sea views. First I&rsquo;d like to start by saying how lovely the caravan was, clean and was made to feel so homely. Lesley and Graham had thought of everything. The kids bedroom was made up in childrens bedding and it really made a difference. My son slept on his own for the first time whilst staying in a caravan. I 100% would return! If you ever get the chance to stay here then you won&rsquo;t be disappointed. It was wonderful!